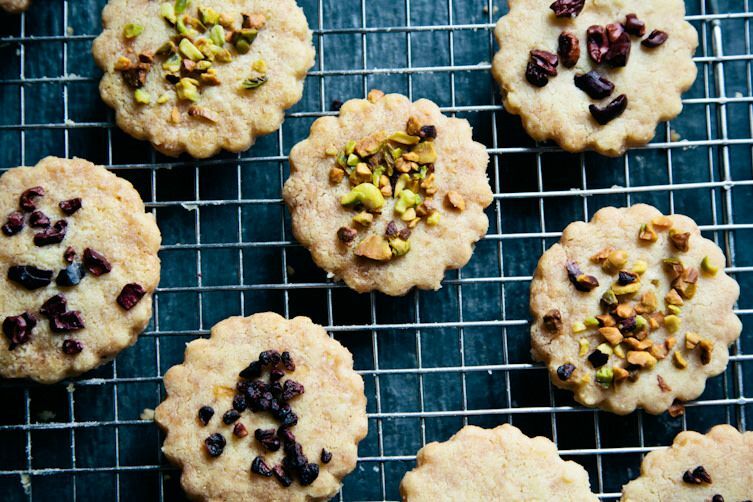 Today: You may be used to the Scottish shortbread from the red box, but Kathryn from London Bakes can help you to make your own proper tea time cookies at home. A couple of months ago, I took two large boxes of shortbread into my office. I thought they'd keep the team going for a week or two, but within hours, every last bit was gone. One member of the team distinguished himself by getting well into the double digits in the shortbread consumption count. 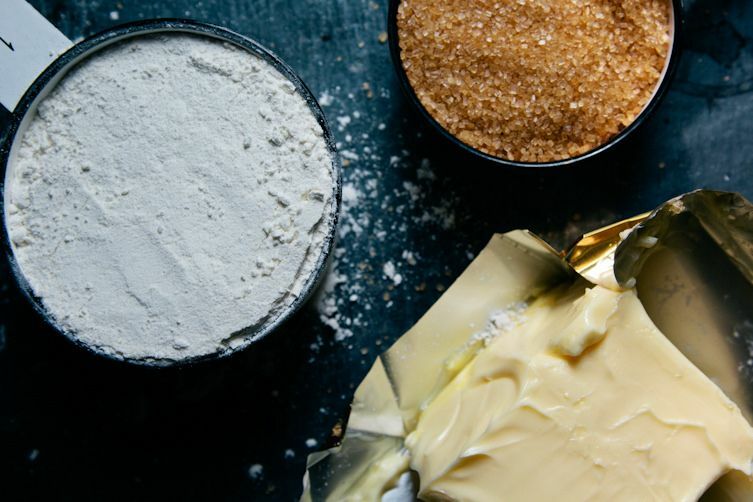 As my colleagues' enthusiasm proved, plain shortbread -- just butter, flour, and sugar (and a pinch of salt) -- is wonderful. 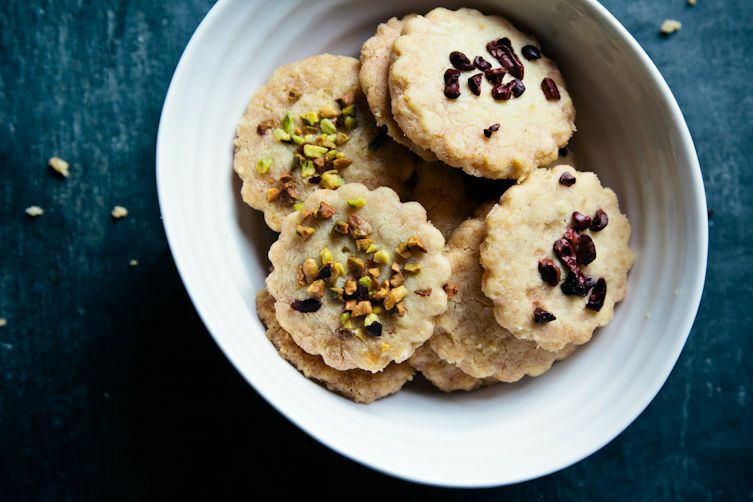 It’s also a perfect blank canvas for whatever flavors you like: Add a little citrus zest to the dough or throw in some chocolate chips; scatter chopped pistachios or cocoa nibs on top; sandwich two cookies together with some buttercream or jam. 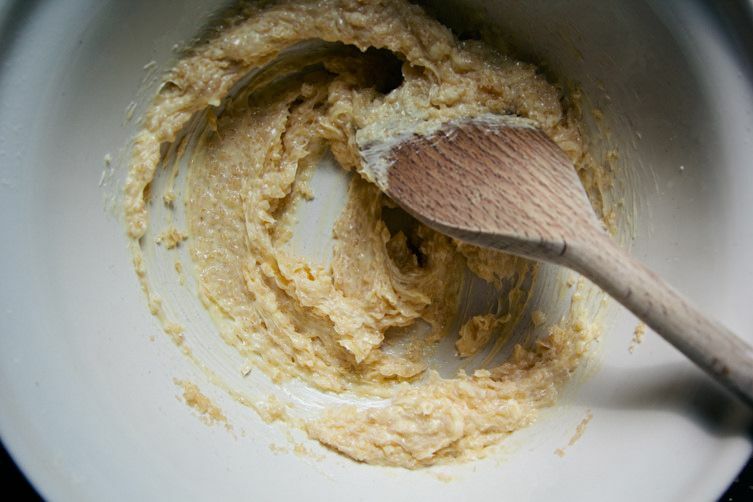 Using a wooden spoon or an electric mixer, cream the butter and sugar together until the mixture is light and fluffy. 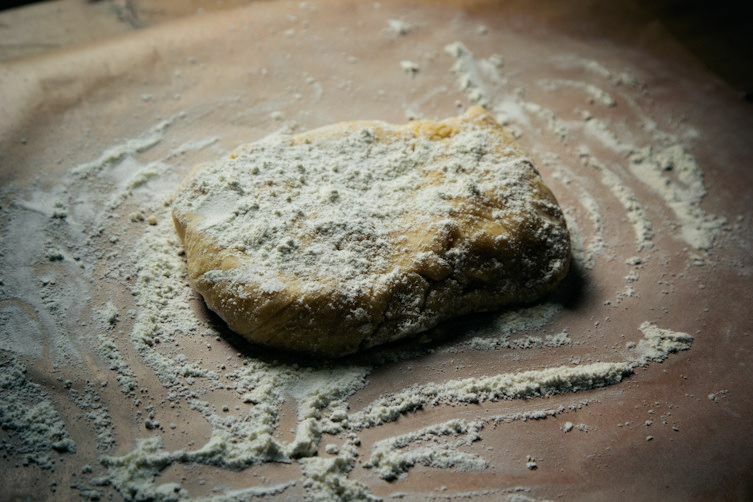 Mix in the flour and the salt until the dry ingredients are completely combined and you have a soft dough. 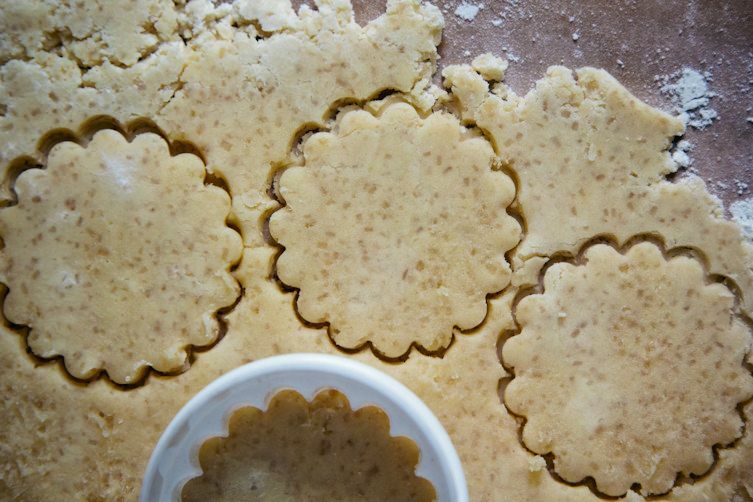 Roll the dough out thinly, cut it into shapes (cookie cutters help), and place the cookies on a baking tray lined with parchment. Place the trays in the fridge for half an hour or so, until firm. 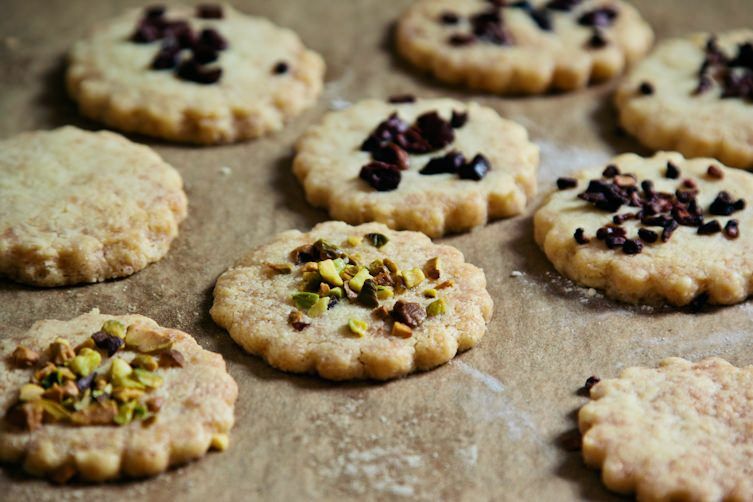 Preheat the oven to 350° F and sprinkle the tops of the cookies with sugar, chopped nuts, or cocoa nibs. Bake them for about 20 minutes, until just golden brown. 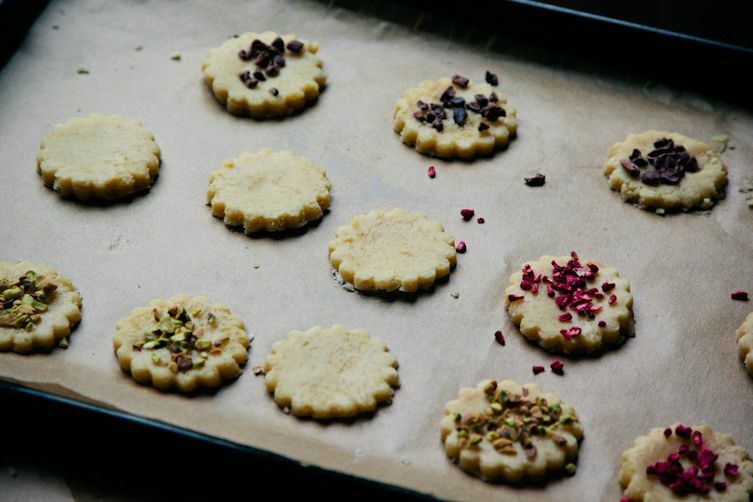 Remove the cookies from the oven and allow them to stand on the baking tray for 10 minutes before transferring to a wire rack to cool.